Rental Property SH #3 rehab is still on-going, and I’m anticipating another 1-2 weeks will be needed to complete the job. Originally, I had planned on budgeting $10,000 in total, including both materials and labor. As it turns out, we are going to need to spend more than that, since we ultimately decided to upgrade both bathrooms as well. Although it’s never ideal to spend more money, in this case we feel like it’s worth it to bite the bullet (so to speak) upfront so that we won’t have to deal with this issue again at a later date. When it comes down to it, I am willing to fork out a little more dough to make sure this property is completely turnkey and ready-to-go by April. 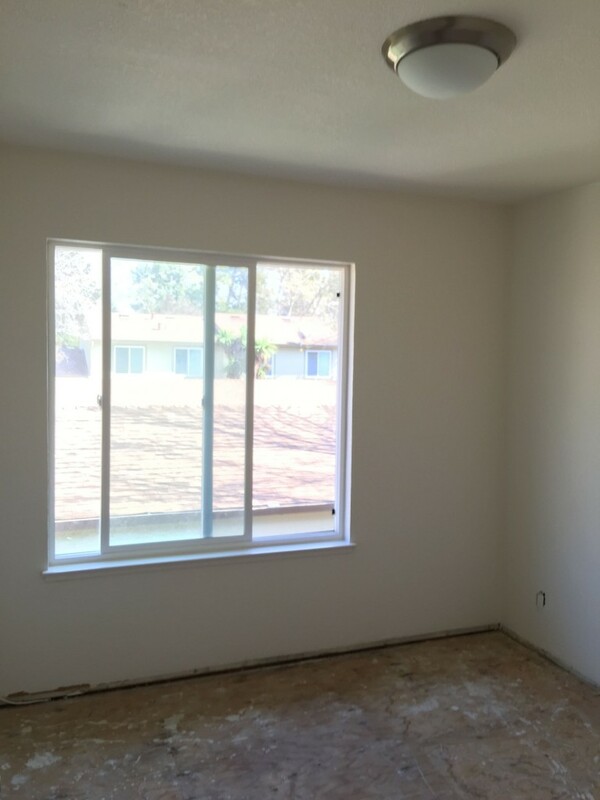 I am hoping for a high-quality rehab that will attract not only top dollar, but wonderful tenants in the marketplace. I’m doing my part, anyway, to make this happen. 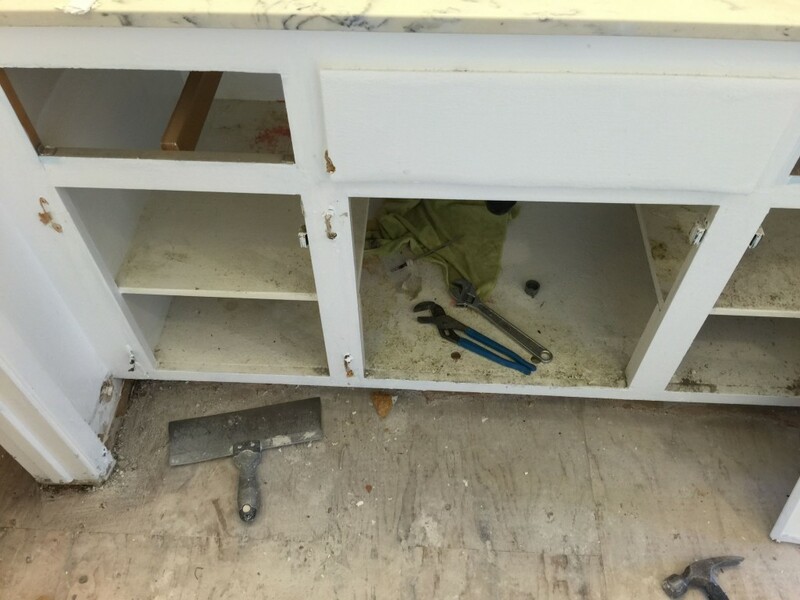 Originally, we were thinking about reusing the vanity and top piece, but as you can see from the picture above, the cabinets are in pretty bad shape… I found a good local deal for $200, so figured it was worth the upgrade. I’m still searching for a vanity top. 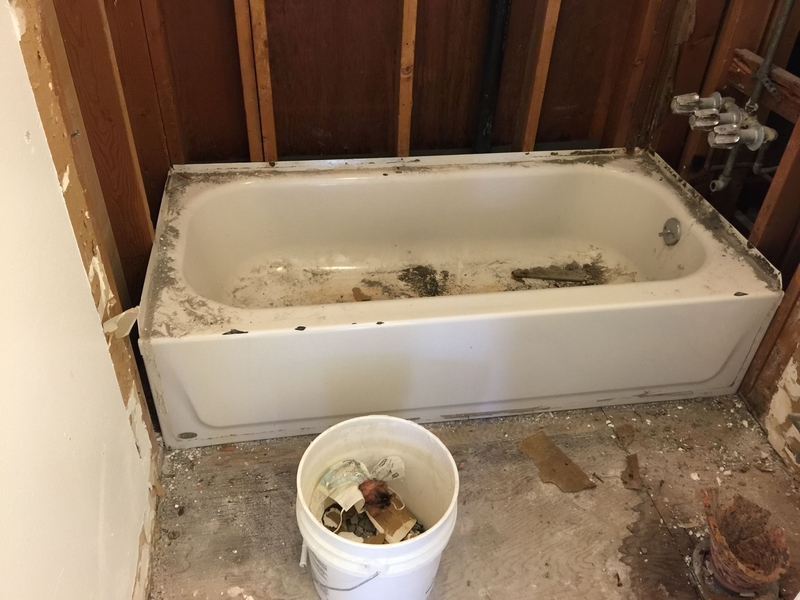 We were going to reuse the bathtub as well… But a quick stop to Home Depot revealed that a new porcelain tub can be had for only about $130… Again, it just makes sense to upgrade it now. With the new setup, we will add a sliding door and 3-piece tile set for the shower. The toilets were pretty old as well, and at this point, we figured to just go brand-new with the most important, commonly used items. Again, I’m looking to secure the best tenants, so I think it’s extremely important to make sure their day-to-day experiences are as pleasant as possible. 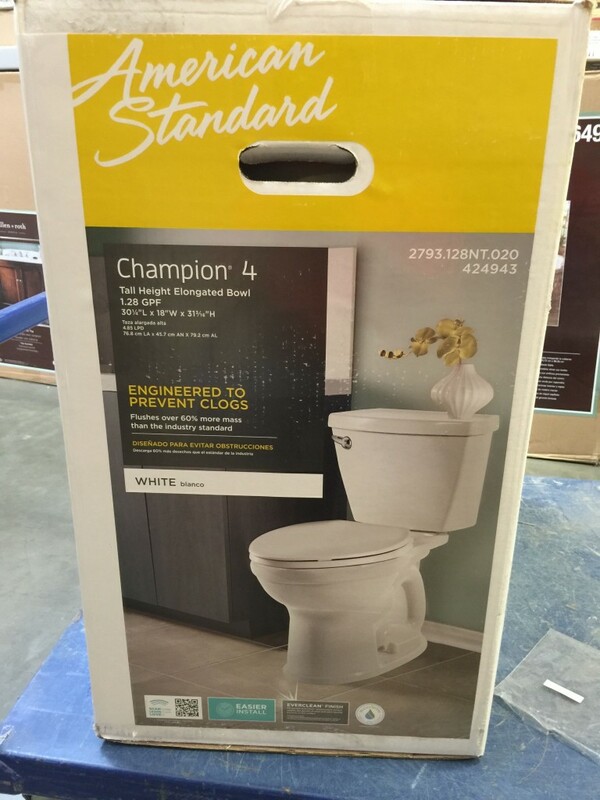 So, American Standard Champion 4 it is! 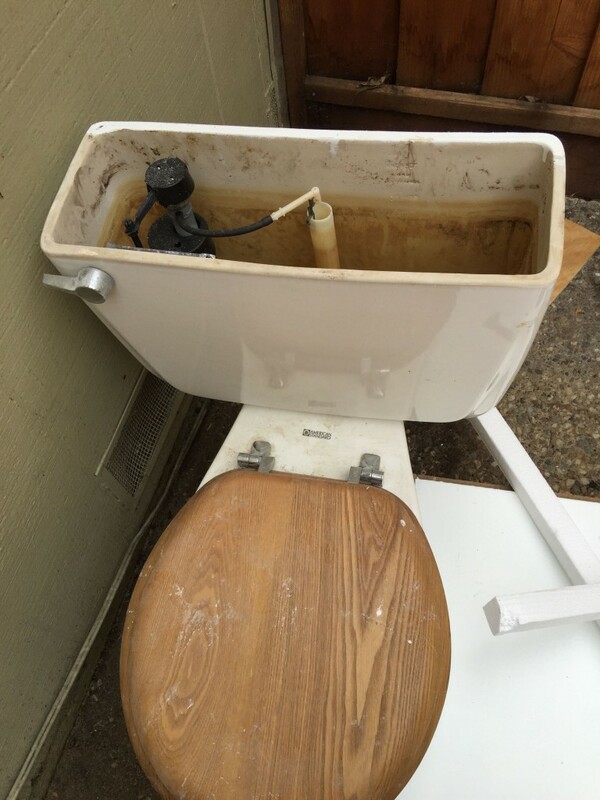 This model advertises, “Flushes 60% more mass than the industry standard.” Sure, why not… If it can save me even a SINGLE maintenance trip for a clogged toilet, it will have paid for itself. 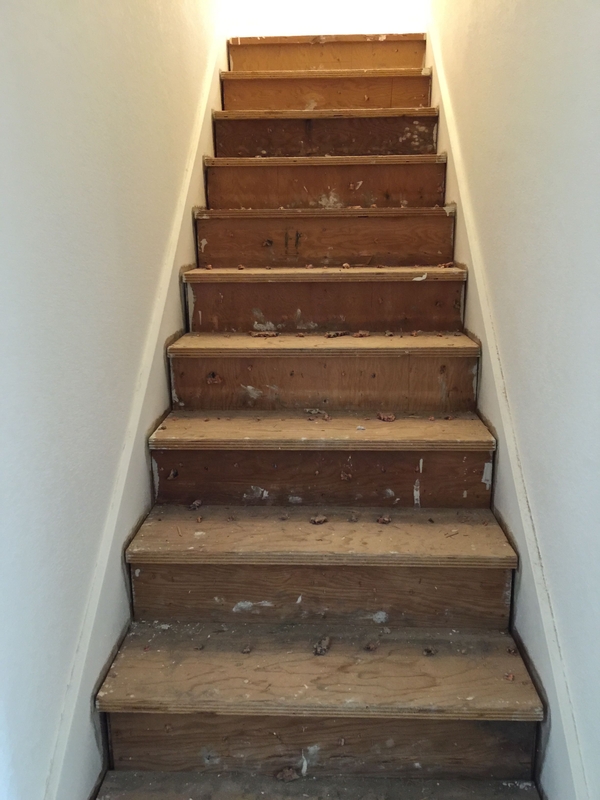 The stairs and entire upstairs will be replaced with some reasonably high-quality laminate flooring that offers “triple layer moisture protection”. 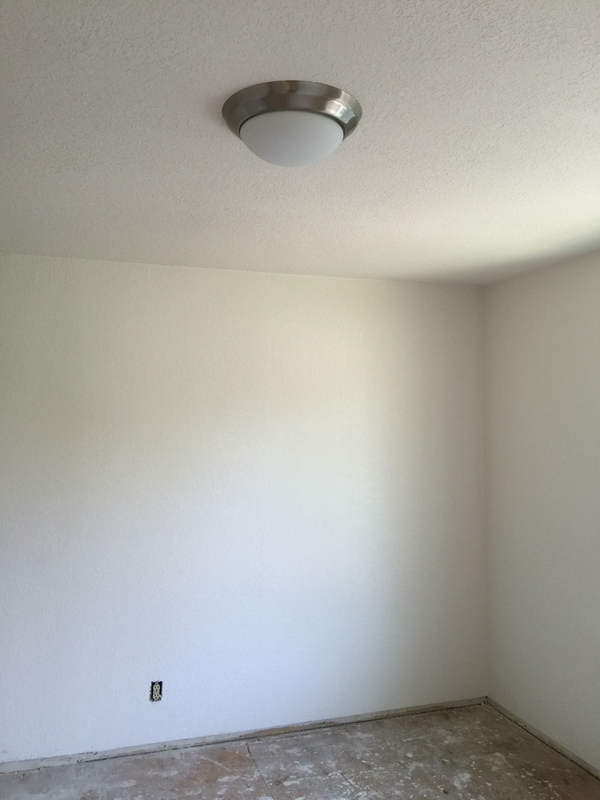 We installed domes with LED bulbs to each of the bedrooms. Although it’s difficult to see from the pictures, the walls and ceilings have all been painted swiss coffee with texture. I’m personally a fan of textured walls and think it shows better than a smooth finish (for the bedrooms and living room spaces). 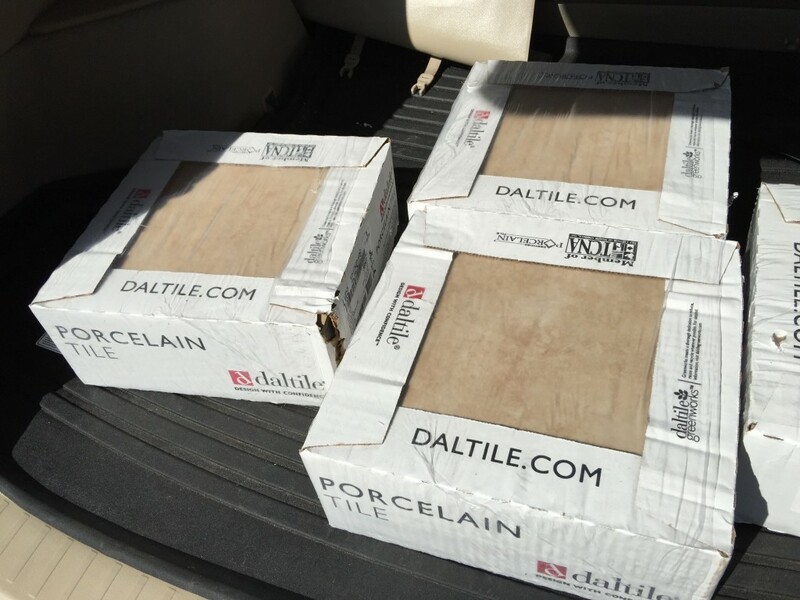 Here’s the porcelain tile we are using for the bathrooms. It looks decent and was very affordable at $0.99/sq. ft. I hope it holds up well and I don’t regret buying “cheap” flooring. 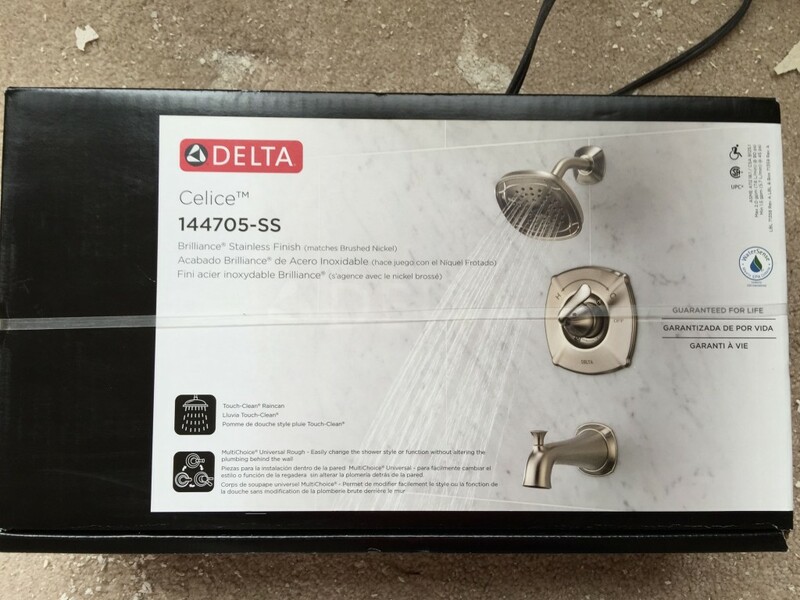 Here’s the shower set that I picked up on-sale. I like the brushed nickel look, although this one is called Brilliance Stainless Finish, which is suppose to match brushed nickel. Close enough. 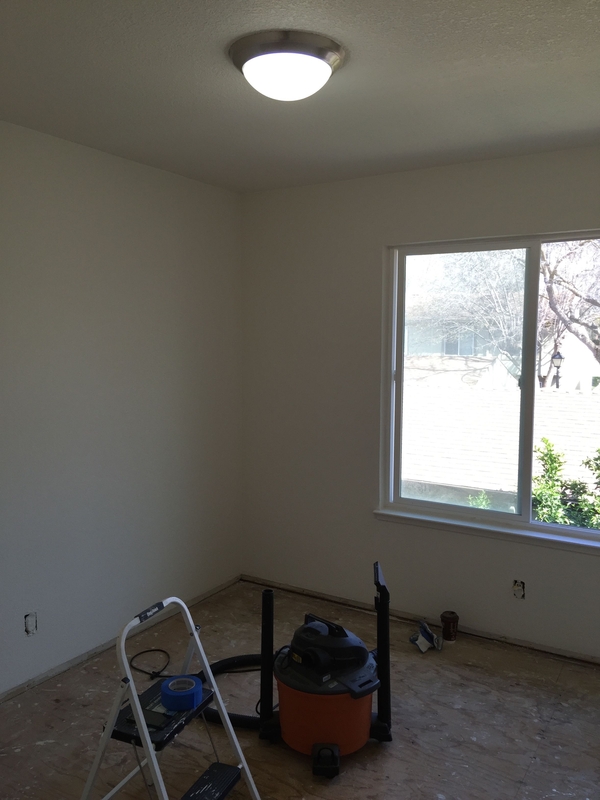 I wasn’t able to take pictures of downstairs since the contractors were all busy doing work. I’ll try and get pics up for next time. All-in-all, we are already over our budget of $10,000. When all is said and done, I would be happy enough to keep things under $15,000. The extra $5,000 was needed to fully rehab both bathrooms. Penny wise and pound foolish? I’m trying to avoid that… So far, I’ve been very fortunate to land some extremely high quality tenants, and although I do attribute much of that to dumb luck, I also feel that I am doing my part as a landlord to give my tenants a very desirable piece of property to live in. I don’t believe in purchasing junk materials and doing shoddy rehabs. 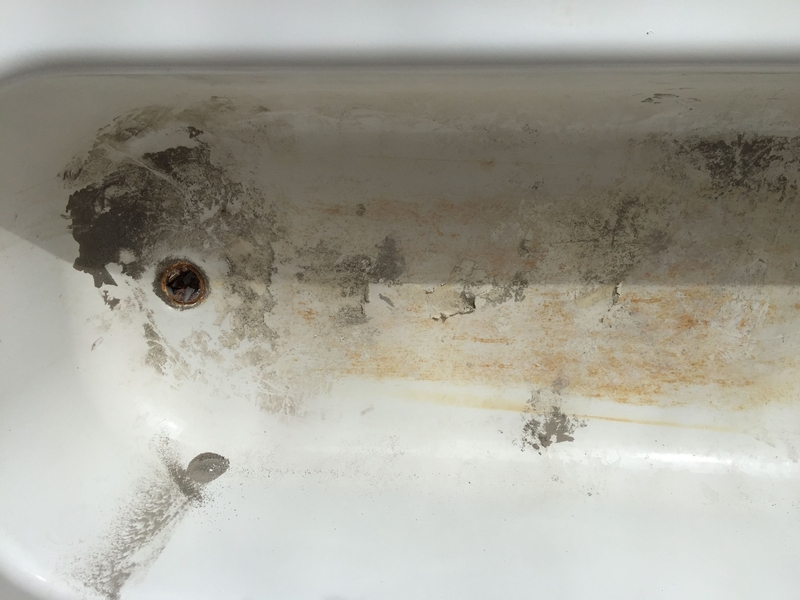 I’ve learned from more experienced landlords that if you want to attract quality, you have to put in quality. instead of doing your rehab work can you just buy me the $17,000 apple watch? great deal with your rehab. That will gring some value, both the house and tenant quality. Tile on the floor is good, but I wouldn’t recommend it on the shower/tub surround. It will be $$$+ in maintenance down the road. I like the 1or3 piece tub surrounds: no grouting, less chance of moisture getting through, easier install, cheaper, etc. For flooring and maybe some accents tile works well, especially for higher end tenants. You could also consider some modern looking linoleum tiles that look nice but will save you considerable money in installation and future maintenance as well. Definitely made a good decision not to skimp on the toilet. The Champion 4 is superb. The Toto Drake is another great toilet. Don’t skimp on a bathroom fan either. Panasonic’s are nice. Make sure you get a few CFM above what the recommendation is. 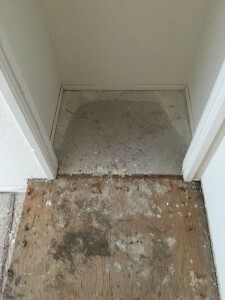 When doing rehab on rentals you must think about longevity, costs, costs to install, cost to replace, and tenant safety. 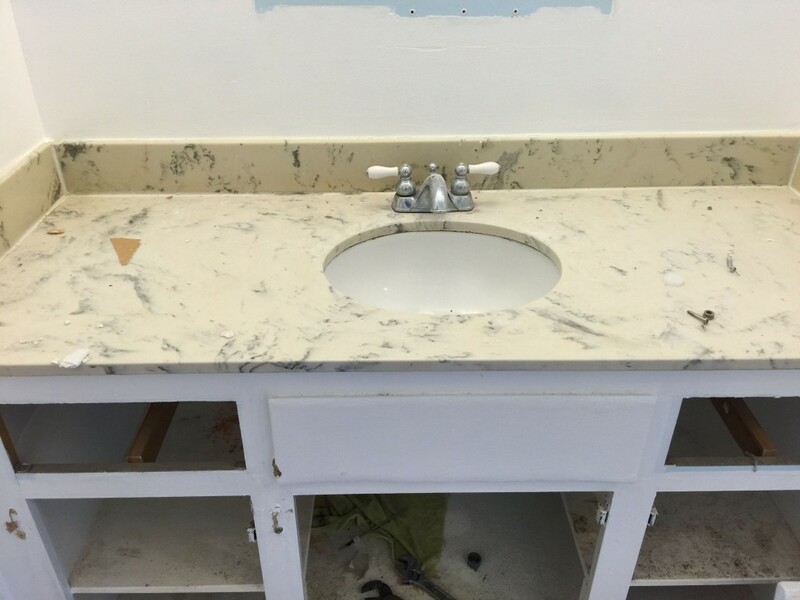 For vanity tops, quartz is a solid option. There are plenty of places in the SoBay that will cut and fit a sink to one for you cheap. Take a look at Sincere.